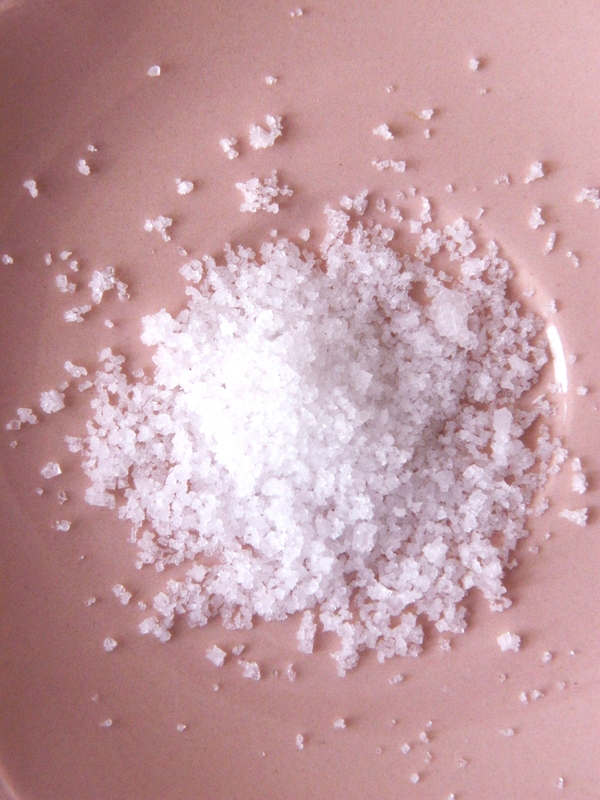 The need to provide something salty and crisp alongside a drink is surely the oldest and most enduring of ideas in hospitality. A handful of pork scratchings in a waxed paper bag; a viciously salty pretzel smothered in butter or a packet of ready-salted crisps: all allow the guest to move dinner to the side of their mind for a little while, and, however temporarily, to focus on the drink, the catch-up, the evening itself. As far as I can see, the current trend in drinks snacks seems to be for those great shards of deep-fried, super-crispy – ridiculously crispy – pork crackling pieces that are now appearing everywhere where pork belly is on the menu. I love them – I ended up having them twice last week in two different Dublin restaurants, and can absentmindedly work through an entire plateful by myself. But while they are tasty and extremely satisfying to crunch through with someone you know very well (that part is crucial), they are definitely not elegant: other customers look round to see where all that noise is coming from and surreptitiously check their menus for confirmation of the ugly fact: pork rind, pork crackling, pork skin. Indeed, while I hate to admit it, sometimes you do need something a bit more elegant than pork crackling with your drink, especially if you’re the one providing – not everyone likes ugly food, after all. 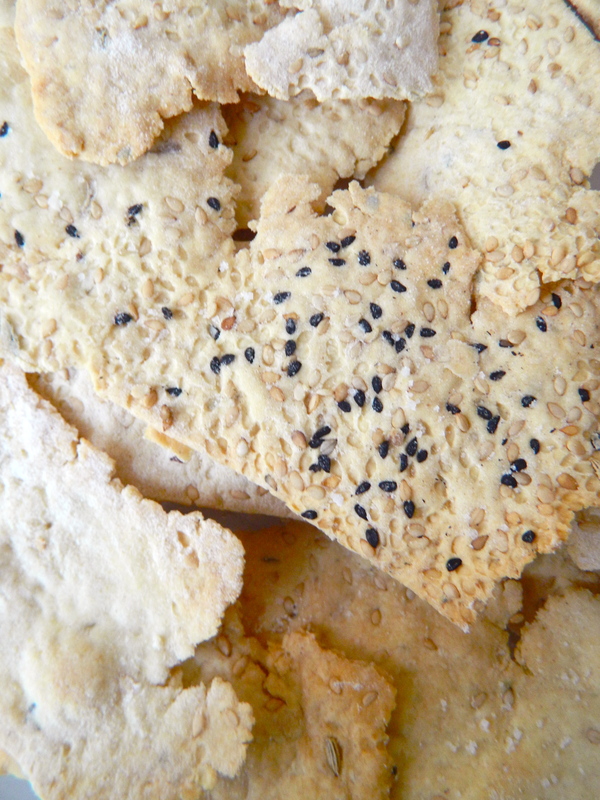 You need something just as savoury and flavoursome and similarly crisp, but a little more polite, a little more restrained, a little more refined – like these lovely seed and spice crackers. 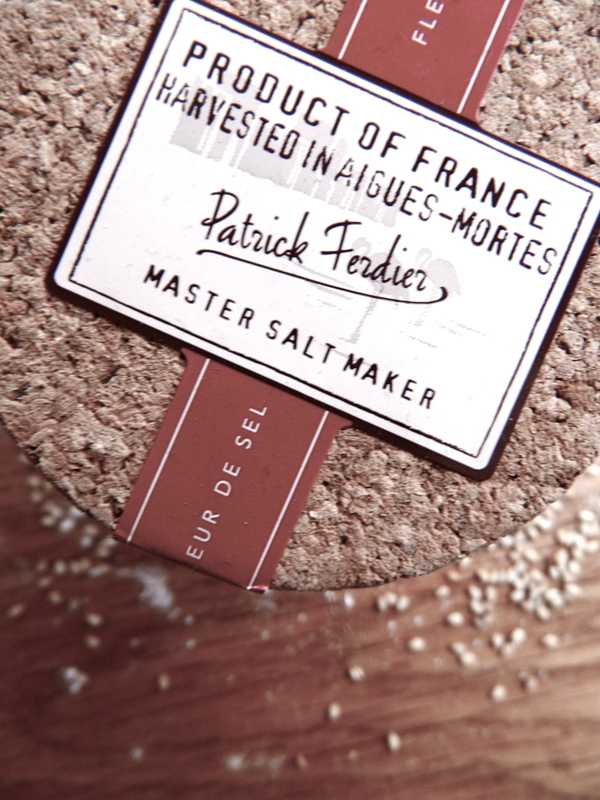 Lovely with cheeses, dips or even just salted butter. 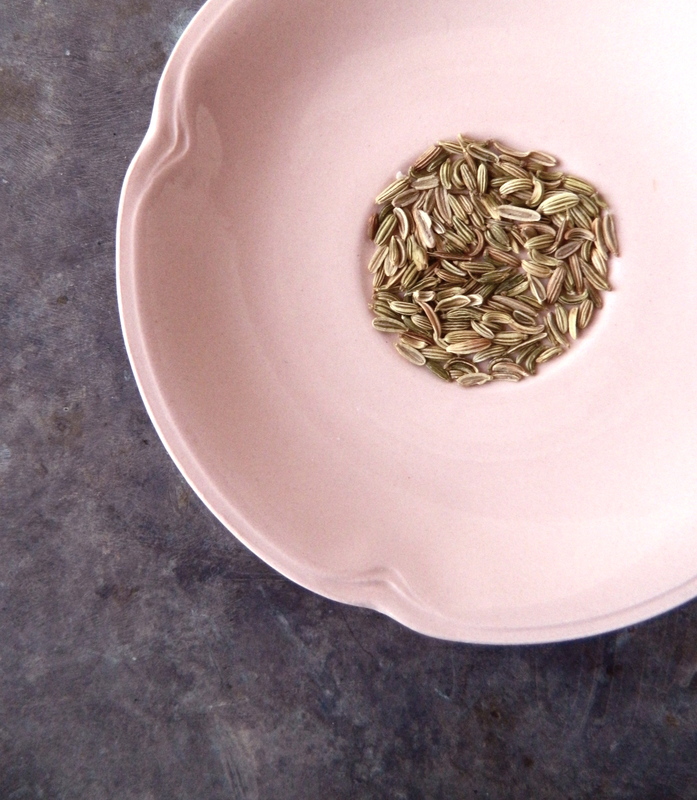 Alter the flavours as you please with sesame seeds, onion seed, cumin seed, fennel seed, poppy seed, caraway seed, herbs, fleur de sel salt…. 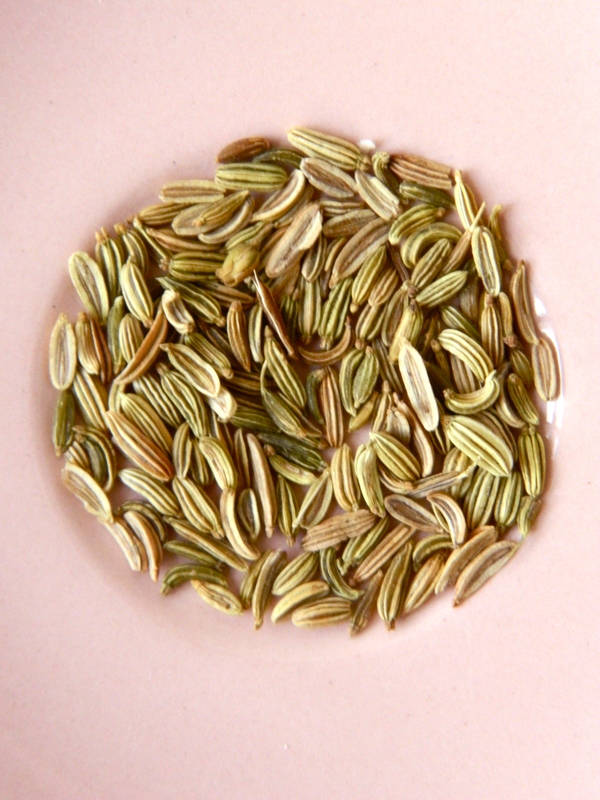 Melt the butter over a low heat with about 1tsp of fennel seed and any other herbs or spices you want. Add the water and milk and allow to infuse for a little while over a low heat. Sieve the flour and salt together and add the cooled liquid. Combine till the mixture comes together into a fairly dry but definitely adhering paste – add a little more water if necessary. Work it together slightly with your hands and cut up into small sections. Start rolling the lumps of dough out very, very thinly, covering the remaining mixture with clingfilm as you roll (it will take quite a while). 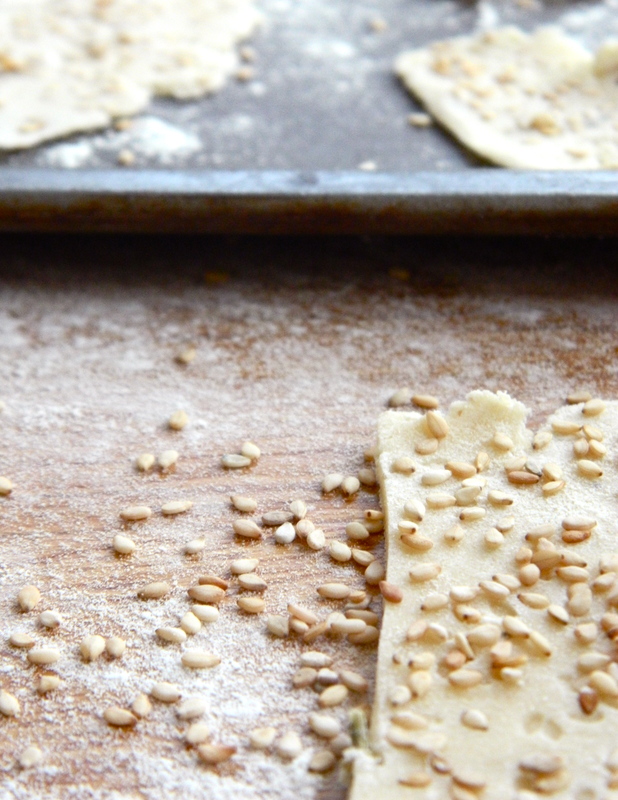 When the dough sections are as thin as you can get them, cut them up and cover with a generous amount sesame seed, onion seeds, cumin seed etc and perhaps a sprinkle of fleur de sel salt. Try rolling the sections again – the seeds seem to stretch the dough slightly further for the second roll-out: the sections need to be as thin as paper when they go into the oven. Cut the dough into whatever shapes you fancy and place them on a floured baking tray. Bake for 15-20 minutes at 180 degrees c, or until they are golden brown and beautifully crisp. Cool on a cooling tray and store in an air-tight box. Serve with dip (salmon, mackerel or even tuna paté would fit the bill here), hummus or with lemony, fleur-de-sel-filled butter. Definitely non-fancy, but delicious at any stage in the week. This dip makes for a great store-cupboard stand-by with the crackers – just make sure you use good-quality tinned tuna steak. Blend all ingredients together except for parsley. Chop the parsley finely and stir in. Transfer to two smaller bowls.